Handling Tips: Cool, dark and dry. 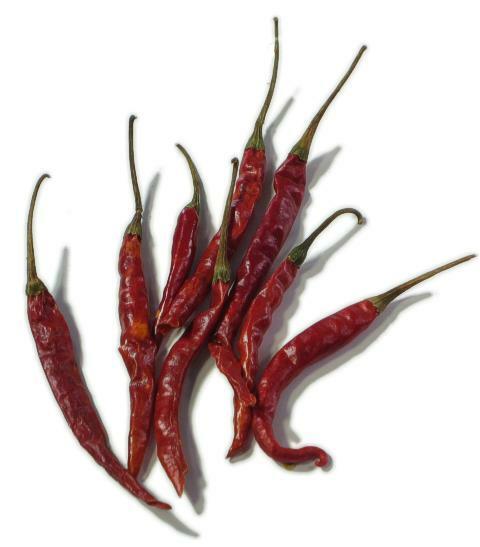 General Information: The name is Spanish for small tree, which is exactly what these slender, tapered chiles resemble. In Mexico, you'll also hear them called "bird's beak" or "rat's tail." Small and plenty hot, they can also be dried and used to decorate wreaths. It will add a natural, grassy flavor to dishes. In pod form the de arbol is often used to flavor oils and vinegars. This small chile packs a lively punch in soups, stews and sauces. Although it may produce a searing heat, it is not the hottest of chiles. Scoville Heat Units 15,000 - 30,000.